The Mercedes GLA’s competitors are the BMW X1, Audi Q3 and Infiniti QX50. The latter two, Audi Q3 and Infiniti QX50 have a exterior design that looks more like smaller SUV, while the BMW X1 and Mercedes GLA look like hatchbacks or wagons. The 2015 Mercedes GLA comes in two trims, the base model GLA 250 4Matic comes with ample standard features and starts at $37,000, while the top of the line high performance GLA 45 AMG model peaks at a price of $50,000. At $50,000 though, if you prefer more room you can actually get the Mercedes GLK…a better value at that price. The CLA design took its styling cue from the much larger Mercedes CLS, this is common knowledge when Mercedes announced the CLA a few years back. 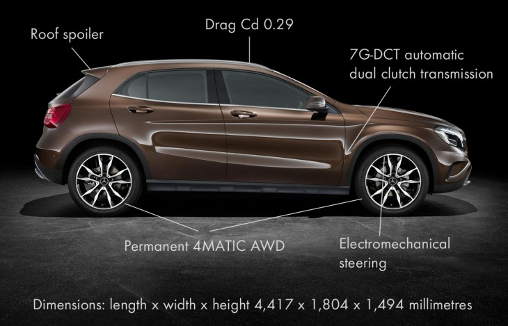 The Mercedes GLA compact crossover is basically a CLA with the trunk chopped off and replaced with a hatch. The front and side profile looks like CLA until you get near the start of the door handle of the back doors, this is where the GLA roof line stays horizontal, while the CLA sedan swoops downward. 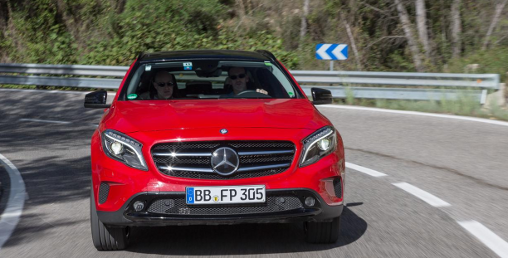 Common between the CLA and GLA is the front facade and an aggressive and muscular sporty exterior aesthetic. New design cues are the black rugged rubberized bottom valence on the front and rear bumper and the black wheel well fenders and side skirts to give it more an off-road feel. As well, the ground clearance is higher than that of the Mercedes CLA. Similar to the CLA, the Mercedes GLA is quite aerodynamic with a drag co-efficiency of 0.29 cD which helps improve its fuel efficiency. 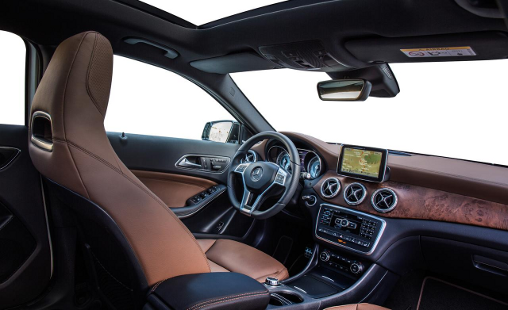 For interior room Mercedes did create a little more space for the GLA, than the CLA sedan. The ceiling is a bit higher (more headroom) and also the interior dimension is slightly wider. Compared to the Mercedes CLA, the GLA crossover has more usable rear passenger seating and the hatchback access is superb, this gives the passenger a less crammed feeling and offers up more luggage/grocery storage space. 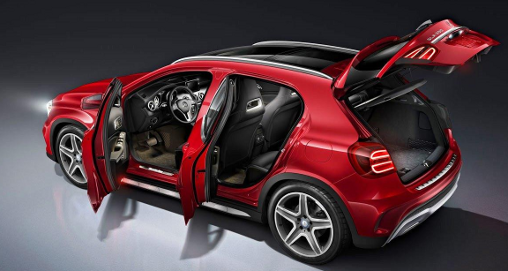 The cargo space is rated at 421 liters and when the rear seats are folded down the total storage space increases to 1235 liters. For the interior trim theirs is a choice of metallic trim pieces or matte wood. 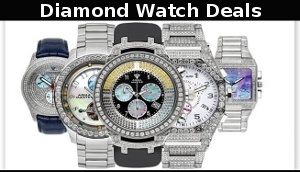 Choosing either gives an enhanced contrast of the high quality materials that are used. For air conditioning / heating there are five (5) air vents in the twin-sectioned dashboard. The dash features a display screen anchor above the vents and the steering wheel is a three-spoke of course with 12 function keys that can be accessed. Engine choices are as follows. The base model GLA 250 4Matic with the base engine is a quite a performer giving good power, and quick acceleration with the 7G-DCT automatic dual-clutch transmission (All Wheel Drive) and handling for a smooth ride and decent cornering. Other neat features are DSR (downhill speed regulation) and off-road mode which helps for easier driving in those conditions. Drowsiness detection system is called Attention Assist, Collision Prevention, Lane Tracking, Blind Spot, Adaptive Highbeam and Active Parking Assist are all available. 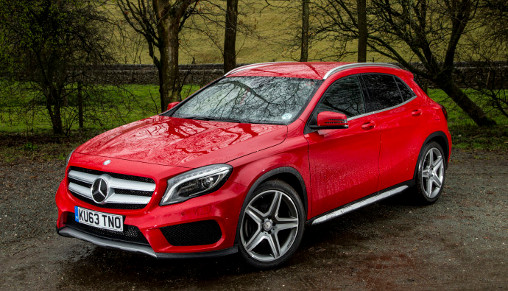 All in all, the 2015 Mercedes GLA is a sporty stylish hatchback with a little off-road flare (higher ground clearance). It features AWD great base engine and transmission with lots of standard features and luxurious interior. So, if you are in the market for a luxury hatchback with the above traits then you should go to your local Mercedes dealership and pick one up. 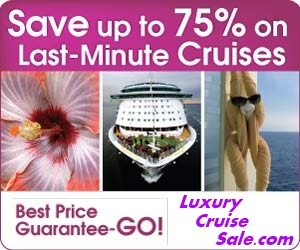 However, if you do need more room, ask to look at the GLK at the dealership.